This was a very fun project. 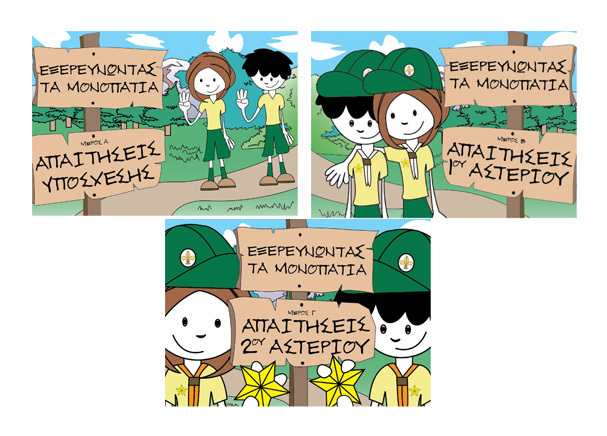 I was asked to help illustrate a set of 3 books for the Cyprus Scouts Organization titled “Exploring the trails”. 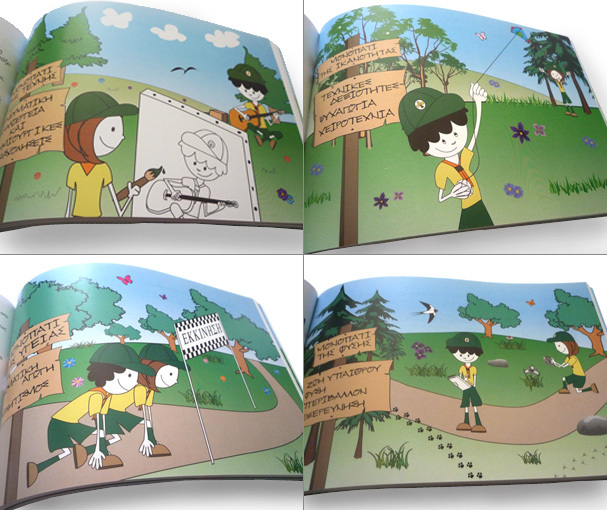 The books are used by children between the ages of six and ten. I created two characters that introduce the readers to all the things a cup scout needs to learn and do in order to advance. I designed the book covers and various illustrations.